I love acting. Last year I got selected into T.Schreiber acting school, which is one of the top acting schools in New York, played a leading female role in a short film and was chosen best actress in Twinderalla in my school play. 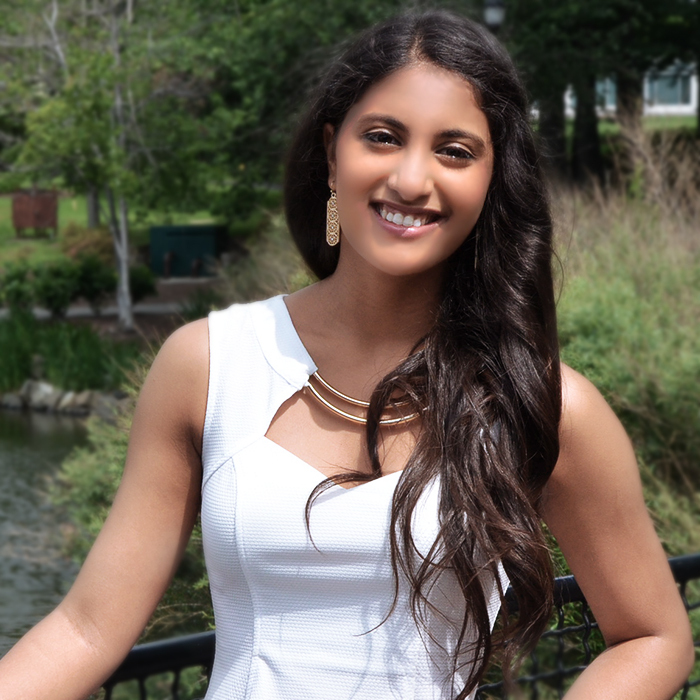 I also enjoy dancing and have been trained in Kuchipudi for almost eight years. My favorite thing to do is serve my community. Last year I launched my own anti-bullying campaign and even had the opportunity to go to India and work with over 120 orphaned girls on issues relating to bullying and self-esteem. I will be going to college in a year and I want to major in Business Management. I hope to some day launch my own business. 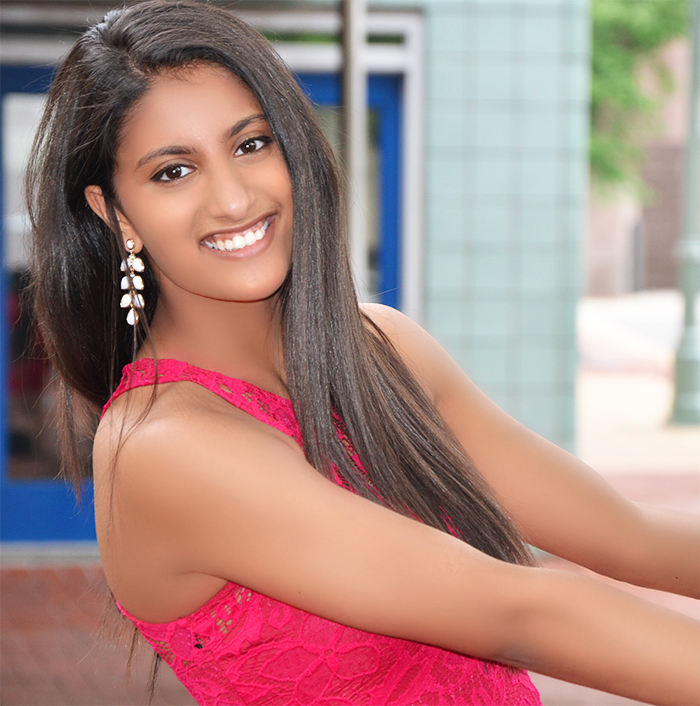 I entered because this pageant gives a platform for young women to make a difference and if chosen as the next Miss India DC I want to make a lasting impact in the Indian community. I also entered because I love meeting new people and making new friends! I know that even after this pageant I will still be in touch with many of the girls. I can hulla hoop and dance at the same time! I am the first national born citizen of America in my family. Having the ability to remove both physical and emotional pain in people. A picture of my parent because I would constantly wish they were there but I would never want to put them in danger so the picture will help me when I start to miss them too much. A desert survival guide and lots of water so I can stay alive! My dad because he grew up in a rural village where dreams were just dreams and his was to become an engineer. He worked hard and became the first person to graduate college and settle in a foreign country in his village. His story inspires me everyday to work my hardest even when all odds are against me because no dream is impossible. I always work my hardest to make a difference so I would donate everything I had to a cause I believe in and spend the entire day with the people that are closest to me. Also I would be eating fudge the entire day! I love fudge! I hope to have graduated college by then and have started working on launching my own business. 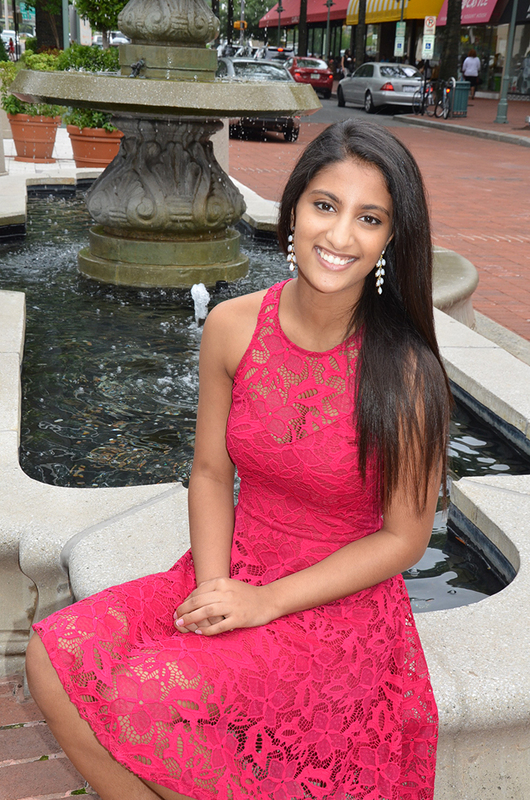 I can’t wait to compete at Miss India DC! Meeting all the amazing girls has been so much fun!